The Kwik Fit British Touring Car Championship has launched for 2019, with a stellar 30-car line-up ahead of the opening event of the season on the Brands Hatch Indy circuit on 6-7 April. The final entry list for this season includes representation from no fewer than 10 different manufacturers, with highlights including new models for BMW's and Toyota's official factory teams. This year's grid will feature an exciting blend of youth and experience when the championship kicks off with three races at the Kent circuit next month, with five champions on the grid accompanied by 18 race-winners, young drivers, and even ex-Formula 1 racer Mark Blundell. This year's BTCC will visit MSV venues five times this year, with the curtain raiser at Brands Hatch followed by rounds at Donington Park (27-28 April), Oulton Park (29-30 June), Snetterton (3-4 August), and then Brands Hatch again on 12-13 October for the season finale. Reigning champion Colin Turkington headlines the high-quality grid, but the Northern Irishman will face a huge challenge in his bid to claim back-to-back titles. He'll be behind the wheel of an all-new 3 Series BMW this year, alongside factory team-mates Tom Oliphant and Andrew Jordan. 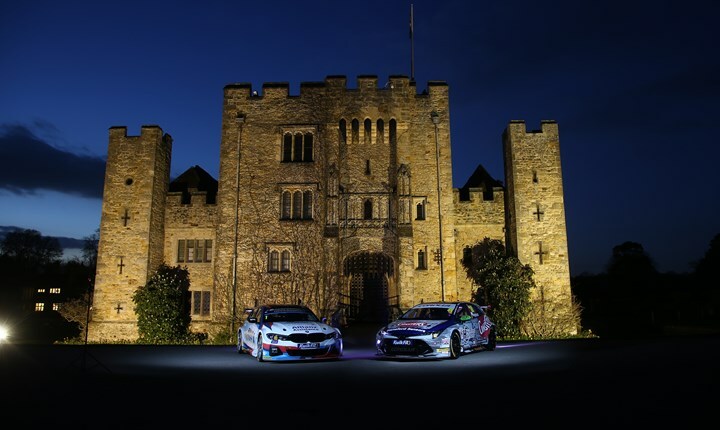 Tom Ingram and Speedworks Motorsport - last year's runners-up - head into the new year with fully-fledged manufacturer support from Toyota for the first time, fielding the brand new Corolla. The other manufacturers involved this year are Vauxhall, Honda, and Subaru, each of which has a former champion amongst its ranks. Jason Plato is spearheading the former's campaign, whilst Matt Neal and Ashley Sutton remain at Honda and Subaru respectively. Brands Hatch's local team Motorbase Performance is entering multiple race-winner Tom Chilton alongside Ollie Jackson and Nic Hamilton - brother of five-time F1 World Champion Lewis. Another big story ahead of this season is the addition of Blundell to the grid behind the wheel of an Audi S3 for his first season of competitive tin top racing. Please click here for the full 2019 entry list.